Ryans Daughter (1970), was one of the best selling records of that year, and A Passage to India (1984), for Jarres third Oscar. Jarre also composed music for multiple other films, including John Frankenheimers Grand Prix (1966), also a best selling record of the year, Alfred Hitchcocks Topaz (1969), John Hustons The Man Who Would Be King (1975), Peter Weirs The Year of Living Dangerously (1983) and Witness (1985), Mad Max Beyond Thunderdome (another top 40 soundtrack), Gorillas in the Mist (1988), Jerry Zuckers Top Secret (1984), Dead Poets Society (1989), Ghost (1990), and I Dreamed of Africa (2000) among others. His abilities for original music film compositions are staggering. 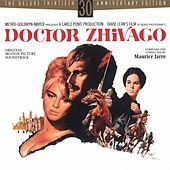 THE REMARKABLE DOCTOR ZHIVAGO ROMANCE STORY REMAINS ONE OF THE MOST LOVED SOUNDTRACKS OF ALL TIME. 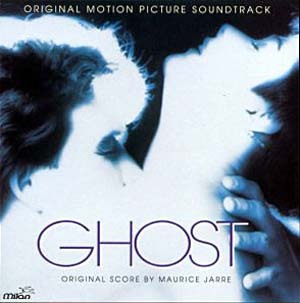 GHOST film score by MAURICE JARRE, another love story that remains an all time best seller. Jerre also did the scores for Gorillas In The Mist, A Walk In The Clouds, Fatal Attraction, Jesus Of Nazarath, Out Of Africa, and much more! An amazing soundtrack legacy. Oscar-winning film composer Maurice Jarre has passed at the age of 84. 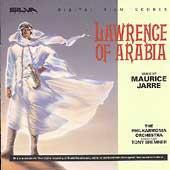 Jarre is best known for writing the haunting song "Lara's Theme" from the film "Doctor Zhivago.". The composer lived in his California villa, having made his home here to create the extensive and treasured film contributions he's famous for. Jarre leaves a remarkable film library of soundtrack best sellers. The composer penned dozens of scores for some of Hollywood's most prominent directors, tapped by many of the best producers to work with them, which also provided immediate character identity for some of the finest actors, many of whom were also our clients you can see listed in our photo gallery. He won Oscars for his music for "Doctor Zhivago," "Lawrence of Arabia," and "Passage to India," and was nominated for an additional six Academy Awards. Jarre was born in France, with awards of recognition and excellence for his visionary film scores from the French and other European film industries. He studied music at the Conservatoire de Paris before starting his career composing scores for film and theatrical productions. ISA assisted Msr. Jarre with his household needs from the time when he first came to California. He has lived in the U.S. for decades.